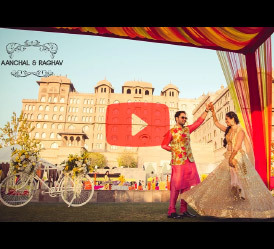 He captures love, emotion and passion of your most awaited day and then crafts them into a beautiful story with his perfect touch—a wholesome wedding film you long for. In his latest ‘Tanwee and Kabeer’ shoot, Rishabh and Piyush, the lead cinematographer, spoke to the couple beforehand to understand what they have in mind for the big day. “Every aspect of their story was discussed for a tailor-made final deliverable,” adds Piyush. They had a beautiful intimate wedding ceremony by the beach at Angsana Laguna in Phuket, Thailand. The incredibly gorgeous resort and an amazing view of the laguna, made it a perfect wedding spot. 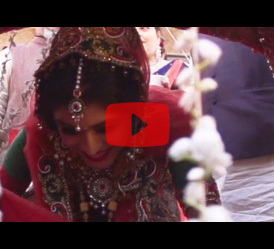 Rishabh managed to capture their three-day events into a short film. “The first day started off with a cricket match, the second had a pool-side mehndi and sangeet and the third was a Haldi ceremony followed by wedding and reception,” explains Rishabh. It was during the reception where the ‘same day edit’ of the wedding film was played. 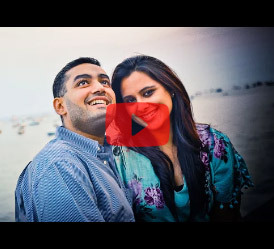 Here’s the film that depicts Tanwee and Kabeer’s love, and the memories they shared over 12 years of their relationship. Surrounded by their closest friends and family, this pair exchanged vows and celebrated their most important day with those that mattered most.